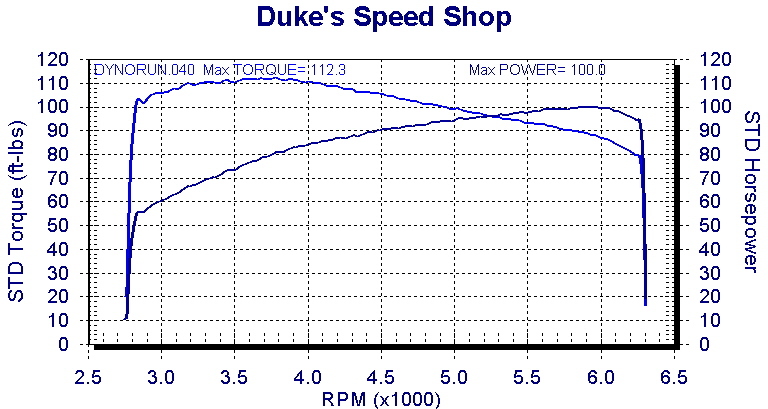 107 bolt on performance kit. featuring our all new HQ-TC-540-HC camshaft especially designed for this kit. Bolt in power to upgrade Twin Cam 96 or 103 inchers to fire breathing 107 cubic inchers with no head work or other parts required. All that is required is boring your stock cylinders, reassemble, tune and go. NO head work required. That’s right. Your stock heads can stay as they are and continue to use the stock valve springs and other hardware. You will not need to purchase adjustable pushrods or any other parts except a few gaskets. We recommend a good exhaust system like the Supertrapp S2-1 Supermegs and free flowing air cleaner and a speed density tuning system like SEST, TTS or Direct Link. Compression 10.5:1. 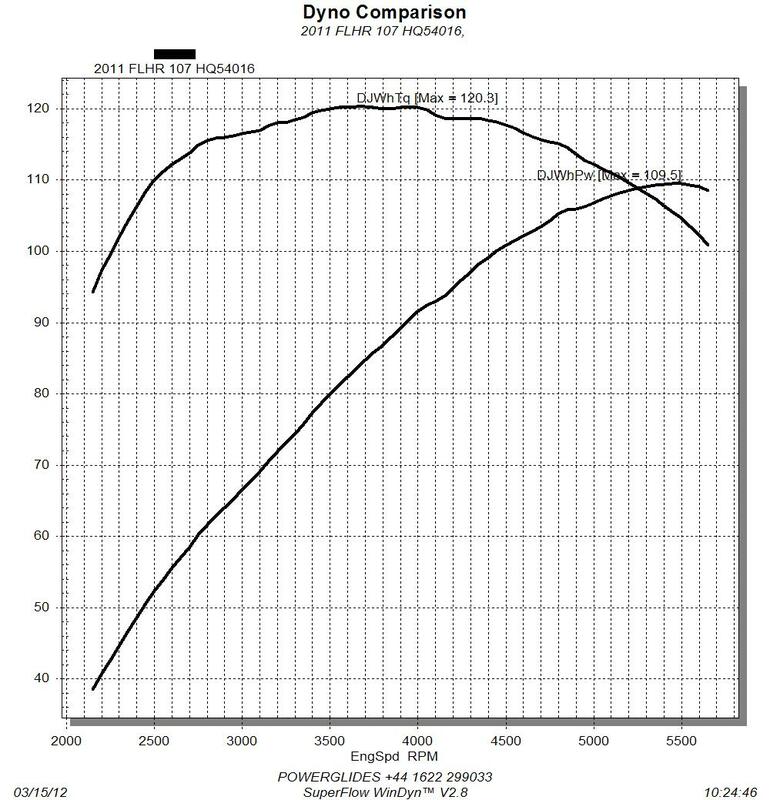 Cam specs = In .540" 20/46 x Ex .510" 52/20. 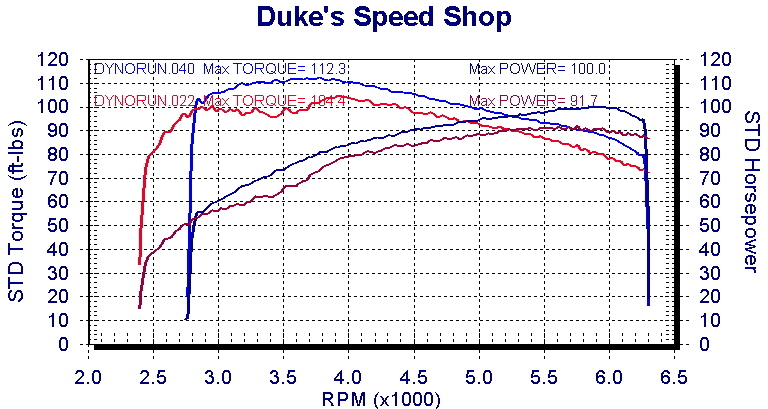 Cylinder bores will need to be finished to 3.938"
The two dyno sheets below shows what can be expected from the above kit. 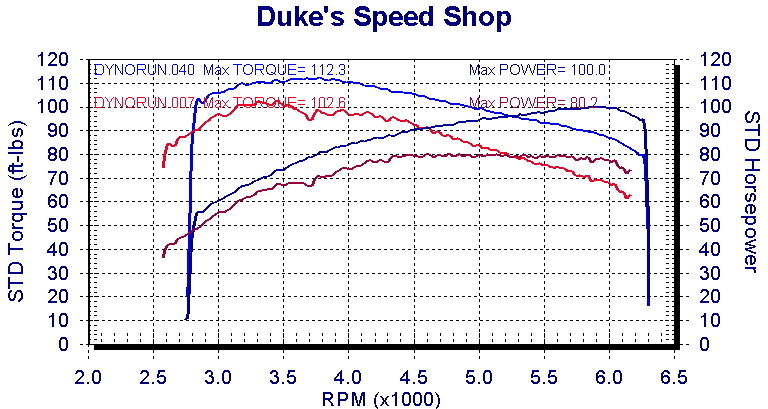 The dyno sheet below compares our bolt in kit with a well tuned CVO 110 motor with Rhinehart like the 107 above.